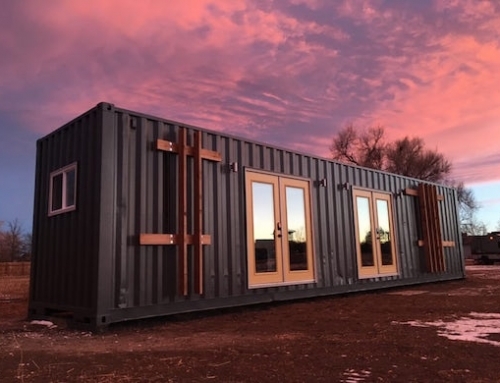 It’s been awhile since we reported on a cool new shipping container home, but this awesome piece of cargotecture easily makes up for that. 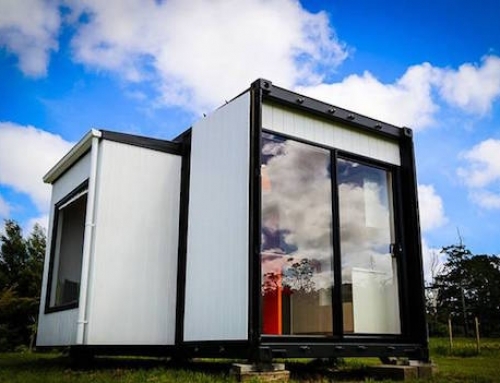 It’s called Kin Kin Container House and it was built using a disused shipping container that was already on the property when owner Troy Walker purchased it. Most of the interior furnishings are also made from recycled materials, so it’s an all-around winner. 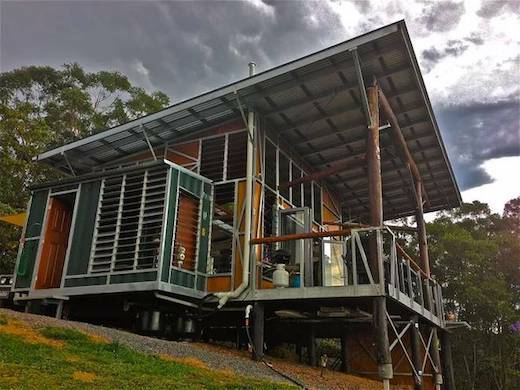 The home is located in Kin Kin, Queensland, Australia. 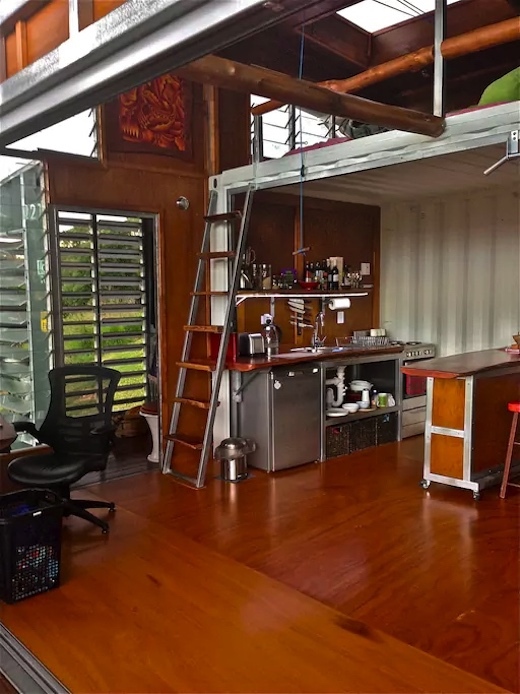 The shipping container forms just half of the total living area of this home. Troy began the transformation by first cutting out one of the longer sides of the container and he used the pieces to build a bathroom. 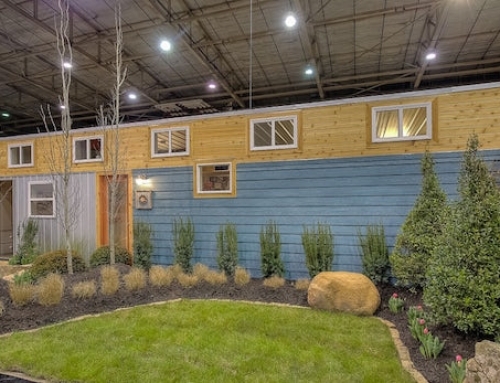 The rest of the components of the home are also salvaged or recycled and include 1970s era jalousie windows and hardwood poles, as well as a bathroom sink and a fire pit that he constructed using a stainless steel beer keg. The home has no insulation. 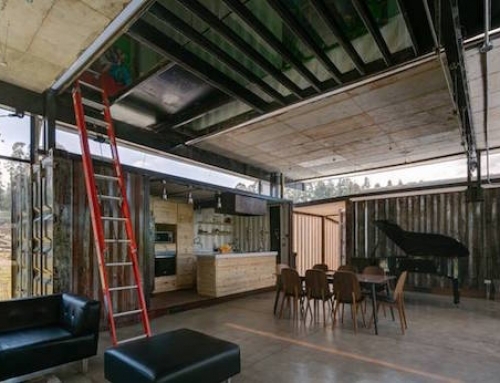 The interior walls are finished with plywood, with many of the steel elements left exposed. The home is also covered by a large roof which shields it from the sun and therefore keeps the interior cooler. Troy located the recycled building materials online and at local salvage yards, which he admits was a very time consuming and even costly process. The home features elements of so-called passive design, with the overhangs letting in the sun in the winter but blocking it out in the summer. 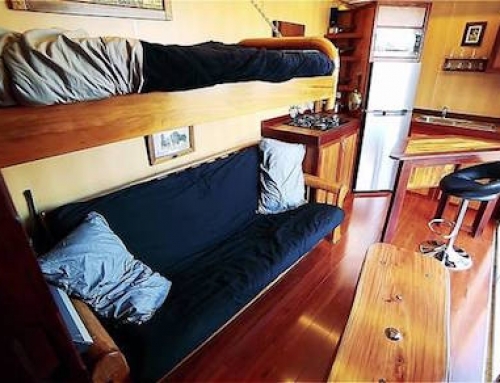 It measures 967 sq ft (90 sq m) and features a spacious open plan living, dining and kitchen area, as well as a loft bedroom that has plenty of head room and is big enough to fit a king sized bed. 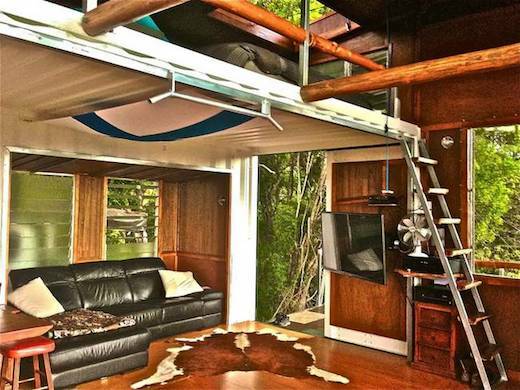 The loft is accessible via a ladder. 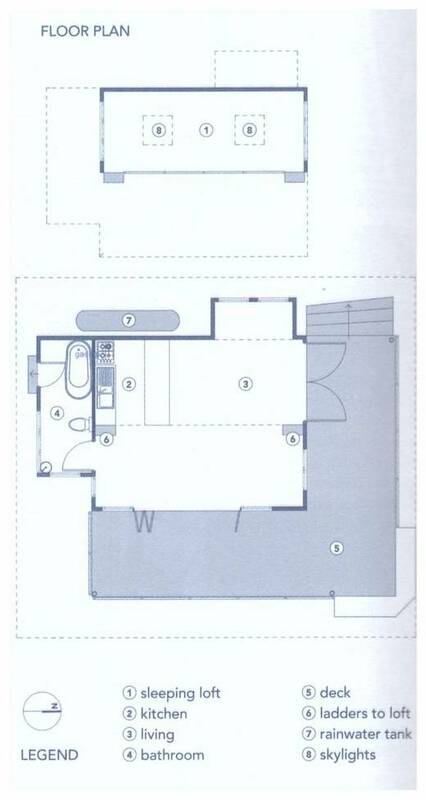 The home also features a spacious bathroom with a tub, toilet and sink. The home is fitted with a hybrid solar power system, while the place is kept airy and cool thanks to the bi-fold glass doors and louvres. There is also spacious outdoor deck. Troy is renting out the cabin via AirBnb and a single night’s stay costs about $70.